Neurologists and researchers with the University of Miami Miller School of Medicine and the University of Miami Health System have begun screening study participants for a new national Alzheimer’s disease (AD) clinical study to evaluate the potential benefits of an investigational medicine for people with mild to moderate Alzheimer’s. Doctors at UM’s memory program are now seeking eligible participants for the T2 Protect AD study. 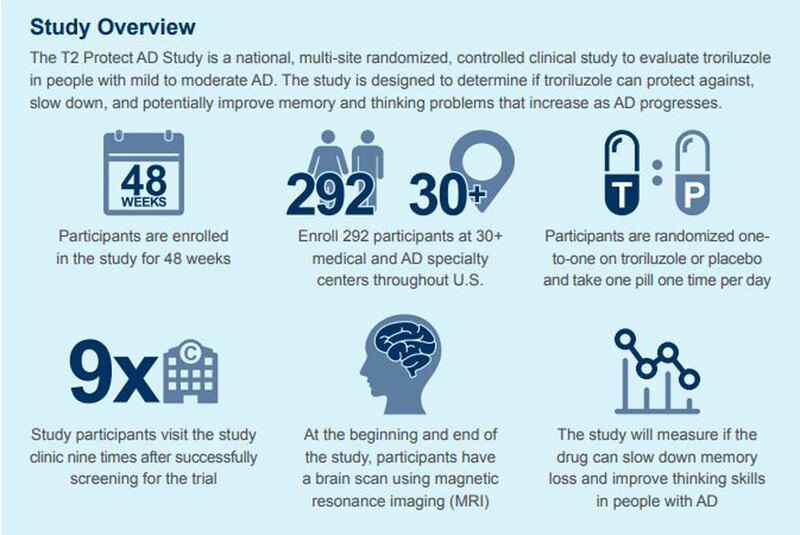 To enroll in T2 Protect AD, participants must be between age 50 and 85, diagnosed with mild to moderate Alzheimer’s disease, and already being treated with Alzheimer’s medications for at least three months. Participants must have a study partner who has regular contact with the clinical trial candidate and is able to attend study visits.